Please take a few minutes to tell us how we are doing. Sharing your experiences with us is vital in helping us strive to provide program excellence to those we serve. Please check the appropriate box. * 3. My rights and responsibilities were explained to me and I know how to find this information when needed. * 4. I feel Glade Run staff are welcoming. * 5. I am asked for my input about the strengths and needs of myself/my family. * 6. I helped to create the current goals. * 7. I can openly communicate without feeling judged. * 8. I am treated with respect. * 9. Glade Run staff are friendly and polite. * 10. Glade Run staff routinely communicate with me. * 11. I receive updates on progress towards goals. * 12. 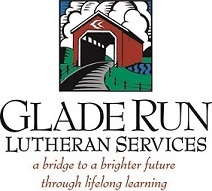 I receive information about the services available at Glade Run. * 13. Glade Run staff show concern for my family's improvement. * 14. I have a voice regarding decisions involving care, treatment and services. * 15. The program is helping me/my family. * 16. Glade Run staff promote safety for all. * 17. My needs are being addressed. * 18. I receive information on resources/events that are relevant and beneficial to me. * 19. Glade Run staff are helping/have helped me build a supportive network in my community (family, friends, resources, etc.). * 20. I feel confident the skills I have learned can be used in my home, community and/or the school. * 21. What is Glade Run doing well? * 22. What challenges did you encounter with Glade Run?